LEGO® SERIOUS PLAY® activates both your mind and your hands. Your view is broadened and together you will find answers. The yields of a workshop are always effective and surprising. And ... everybody gets to play! LEGO® SERIOUS PLAY® helps you discover answers to small and big questions together, no matter how serious or difficult they may be. 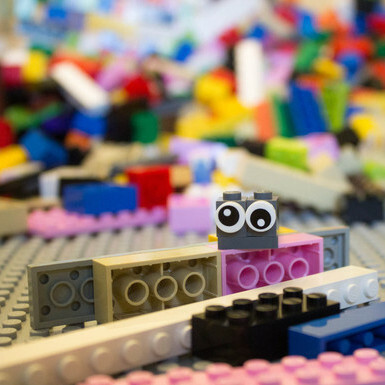 The Making of Meaning makes use of the LEGO® SERIOUS PLAY®-methodology. Put your head and your hands to work in order to gain new insights. The approach is accessible, challenging and constructive. Everyone takes part, everyone tells his or her story and everyone is heard. The yields of a workshop are always effective and surprising, and provide inspiration for a next step, either individually or as a group. As a facilitator, Kaj ten Voorde has the ability to provide an open and relaxed atmosphere in which participants are invited to let themselves be heard and where they are inspired towards new ideas. The act of playing in a serious way forms an excellent breeding ground for creating new visions, developing identity, strengthening teams and building faith. Contact Kaj for more information or book a workshop. Read more about the (scientific) background of LEGO® SERIOUS PLAY®. Read more about Kaj ten Voorde. A vision becomes viable once it has a broad consensus and can connect to events that are happening. In a Making of Meaning workshop, everyone’s perspectives are seen and heard. Slowly, a shared vision is formed that makes sense. What makes you unique as an organization? What is your identity as a congregation? Shifting contexts increase the necessity of knowing where you stand. Discover the key points of your identity and their use in day to day practice. Engage in conversation with your team in a safe, relaxed and innovative way. What is good, and what could be better? Make note of what unique skills you have in your possession and think about ways of investing in yourself or your team in order to reach to a higher level. What does faith in God mean for life here and now? What can I discover in that bible-passage? 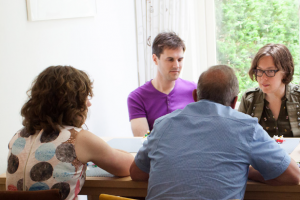 LEGO® SERIOUS PLAY® has a lot to offer you and your small group, youth ministry or Alpha-course for group discussion and formation of faith. The Making of Meaning uses the LEGO® SERIOUS PLAY® methodology for forming visions, developing identity, strengthening teams and building faith. Kaj ten Voorde, certified as a LEGO® SERIOUS PLAY®-facilitator, organizes workshops for organizations, schools and congregations. Dutch readers are invited to visit the website www.bouwenaanbetekenis.nl. Photography: Inge Maassen, Else Prins e.a. LEGO® and SERIOUS PLAY are trademarks of the LEGO® Group. 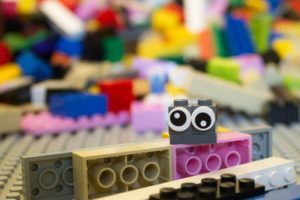 The activities related to LEGO® SERIOUS PLAY® that are referenced to by this website have not been sponsored, authorized or endorsed by the LEGO® Group. 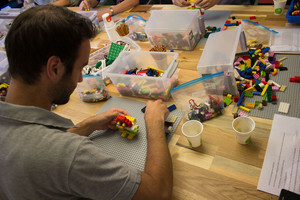 Content on this website pertaining the personal use of the LEGO® SERIOUS PLAY® method is based upon Open Source information and is available under the Creative Commons Attribution-ShareAlike 3.0 Unported license. Other information as well as photographs and images on this website are copyrighted and may not be copied without informed consent.